The first Cellular Vehicle-to-Everything (C-V2X) trials in Japan will get underway this year with participation from NTT DOCOMO, Nissan, OKI, Continental, Ericsson and Qualcomm. The testing will focus on the range, reliability and latency benefits of C-V2X direct communications operated in 5 GHz band. Additionally, the C-V2X trials are designed to demonstrate the complementary benefits of network-based communications utilizing LTE-Advanced (LTE-A). C-V2X provides non-line-of-sight (NLOS) low latency awareness with longer range than Advanced Driver Assistance System (ADAS) sensors, such as radar, lidar, and camera systems. It is to extend a vehicle's ability to see, hear and communicate further down the road, even at blind intersections, while complementing ADAS sensors. C-V2X was defined by the 3rd Generation Partnership Project (3GPP) in their Release 14 specifications. The C-V2X trial is expected to begin in 2018. Several use cases are planned, including: Vehicle-to-Vehicle (V2V), Vehicle-to-Infrastructure (V2I) and Vehicle-to-Pedestrian (V2P) direct communications, as well as Vehicle-to-Network (V2N) operations over cellular network-based wide area communications with cloud access. Continental will utilize the Qualcomm C-V2X Reference Design, which features the Qualcomm® 9150 C-V2X chipset with integrated Global Navigation Satellite System (GNSS) capability to build connected car systems and integrate the systems into Nissan vehicles. Nissan will perform V2X use case selection and develop test scenarios with key performance indicators (KPIs) for C-V2X technology validation. OKI will bring their expertise in roadside unit (RSU) infrastructure and applications to demonstrate V2I as a viable technology for advanced traffic applications by integrating the Qualcomm 9150 C-V2X chipset into their RSU. Ericsson will join the V2N use case discussion involving the combination of direct communication and LTE-A network technologies. NTT DOCOMO will provide LTE-A network and V2N applications to demonstrate the benefits of the complementary use of network-based communications for a variety of advanced automotive informational safety use cases. "The C-V2X solution is unique in that it, within a common technology and eco-system, offers both network-based and direct communication for V2X services. With the network-based communication, there is a possibility to provide traffic safety and traffic efficiency services utilizing already existing coverage and penetration of cellular modems and smartphones. It also provides connectivity to various cloud-based services, providing a range of applications and value-added services. In these trials, all stakeholders are present to showcase the strength of the complete solution covering both connectivity and different applications. Ericsson is contributing with leading 4G, 5G radio, and network expertise and by leveraging our understanding of the IoT ecosystem," said Erik Ekudden, chief technology officer at Ericsson. "This collaborative project will bring together the invaluable knowledge and experience of world leaders in the automotive and telecom domains, and will it be imperative for all parties to underpin their roles in the era of connected cars toward improved road safety and comfort. NTT DOCOMO is determined that our experience in telecommunications systems will be indispensable to maximize the values of C-V2X. 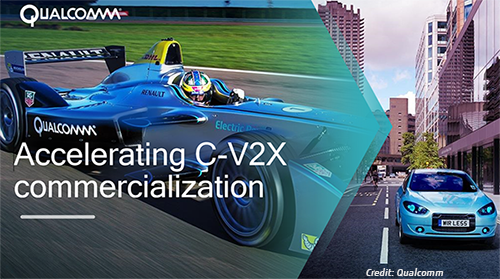 This project will set a clear path toward connected cars and roads of the future that materialize the power of C-V2X," said Hiroshi Nakamura, Chief Technology Officer at NTT DOCOMO. Telefónica completed laboratory tests on a T-SDN (Transport Software-Defined Network) solution provided by Huawei that included an SDN controller with capabilities for planning, management, monitoring and diagnosis of Telefónica España’s photonic mesh. T-SDN aims to improve network operations in the photonic mesh. 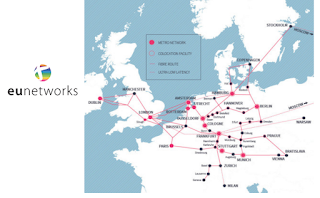 In 2009, Telefónica began deploying an all-optical, mesh network with more than 200 nodes throughout Spain. This network leverages flexible ROADM technology along with an advanced network control plane. While this improved the reliability and flexibility of the service, it also posed challenges for Operation and Maintenance (O&M). 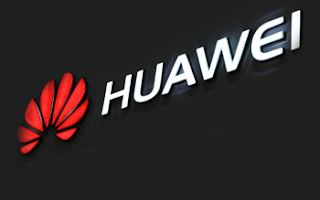 Huawei said its new centralized controller can be used to obtain real-time information and to conduct incident simulations with the goal of identifying risks to an optical service and preventing network disruptions before they happen. The centralized T-SDN algorithm can also be used to optimize the spectrum and to improve the reliability and performance of the WDM network. In addition, Huawei is developing a new platform known as NCE (Network Cloud Engine) to integrate the online WDM planning tool, the control plane and the network management system. Bharti Airtel, India's largest mobile operator, has successfully deployed three radio technologies (GSM, UMTS, LTE) on the 900MHz band within an 8.8MHz spectral bandwidth by using Huawei’s CloudAIR. The three band deployment is a world first on the Huawei platform. 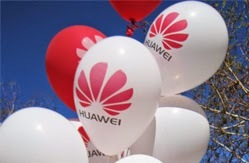 Huawei's CloudAIR allows different radio access technologies to share spectrum resources dynamically instead of using traditional spectrum sharing solutions. Huawei calls this "spectrum cloudification", replacing static allocation with on-demand allocation. In this case, it enables Bharti Airtel’s 900MHz spectrum to serve GSM, UMTS and LTE simultaneously. Since introducing CloudAIR in November 2016, the solution has been deployed in more than 30 commercial networks. Stonepeak Infrastructure Partners, a private equity firm based in New York, completed its previously announced deal to acquire a majority interest in euNetworks. Existing euNetworks investors, including Columbia Capital and Greenspring Associates, will continue to hold a material interest in the company. The purchase price was not disclosed. Under the deal, Stonepeak will also provide euNetworks with up to $500 million of committed growth capital for both organic and inorganic development. 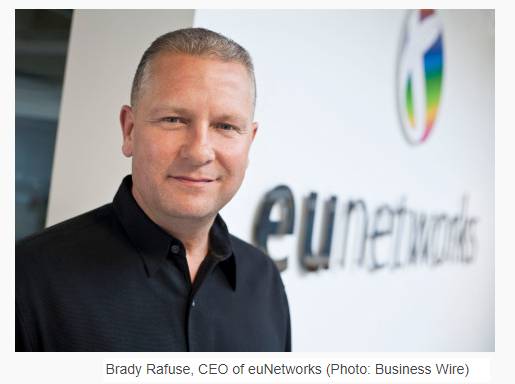 Brady Rafuse will remain the Chief Executive Officer of the company and the existing euNetworks investors will continue to hold a material interest in the company’s new capital structure. 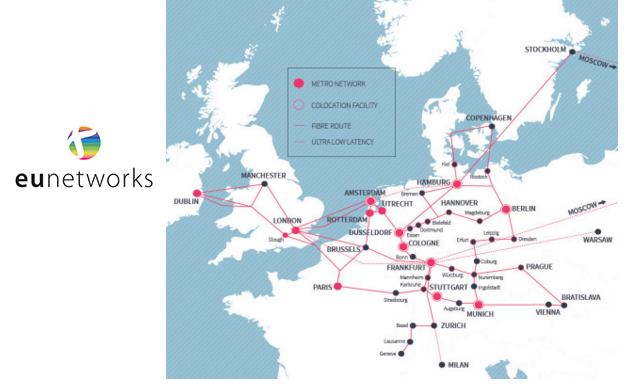 euNetworks owns and operates dense fibre-based metropolitan networks in 14 cites, connected by an intercity backbone covering 49 cities in 15 countries. These networks directly connect into over 300 data centres and more than 1,300 further cell towers, cable landing stations and enterprise buildings. Stonepeak Infrastructure Partners currently manages approximately $11.3 billion of capital for its investors. BCE (Bell) has acquired AlarmForce Industries, a Canadian home security and monitoring company, for approximately $182 million paid in a combination of cash and BCE common shares to shareholders of AlarmForce. AlarmForce currently serves more than 100,000 subscribers across the country with intrusion, smoke, flood and carbon monoxide detection services; automation services including lighting, climate and lock control systems; and in-home and mobile medical alert systems. Bell provides security and monitoring services from Bell Aliant NextGen Home Security in Atlantic Canada and from AAA Security, a Bell MTS company, in Manitoba. Bell also announced an agreement to sell AlarmForce's approximately 39,000 customer accounts in British Columbia, Alberta and Saskatchewan to TELUS Corporation for approximately $66.5 million, an amount per subscriber equivalent to that paid by Bell. "Bell welcomes AlarmForce as we build on our position as Canada's most trusted name in residential communications with an accelerated focus on Connected Home technology and services," said Rizwan Jamal, President of Bell Residential and Small Business. "Building on our leadership and scale in broadband networks and residential services distribution, installation and customer services, Bell looks forward to delivering new and innovative smart home solutions to residential customers throughout Ontario, Québec, the Atlantic region and Manitoba." ICEYE, a start-up based in Helsinki, Finland that is developing microsatellites with unique synthetic-aperture radar (SAR) technology, announced the successful launch of its first satellite on a proof-of-concept mission. The 70-kg ICEYE-X1 satellite was carried into orbit on ISRO's PSLV-C40 rocket launched from the Satish Dhawan Space Center in India. The launch marks the world's first microsatellite equipped with synthetic-aperture radar (SAR) to ever be deployed in space. It is also Finland's very first commercial satellite. "ICEYE has been committed to enabling better decision making for everyone with Earth observation capabilities, and now through this new SAR data source, we are closer than ever to unlocking that potential across many different industries," said Rafal Modrzewski, CEO and co-founder of ICEYE. "I am extremely proud of the ICEYE team who have now, for the first time in the world, opened up the possibilities of the miniaturization of SAR satellite technology. With the support from the Finnish and European communities, Aalto University, Tekes, Horizon 2020, all of our investors, our extremely talented advisors, and so many more who've supported us, we have been able to achieve this crucial milestone." ICEYE has at least two additional proof-of-concept satellite missions planned for 2018. These first three initial missions will be conducted through different launch providers. Once testing is completed, ICEYE plans to launch a constellation of more than 18 SAR-enabled microsatellites to bring reliable high-temporal-resolution imaging to the market. ICEYE's constellation, once fully deployed, will allow users to accurately image any point on Earth within only a few hours, regardless of weather or darkness. Infinera announced the appointments of Glenn Laxdal as senior vice president of product management and Alexander Derecho as senior vice president of global customer service. Both new positions report to David Heard, general manager of the recently established Product Realization organization. Previously, Laxdal was head of Ericsson North America’s multi-billion dollar network products business, overseeing strategy, product management and solution development. Mr. Laxdal also served as chief technology officer and head of strategy for Ericsson North America. Prior to Ericsson, Mr. Laxdal served as vice president of global product management at Research in Motion. Previously, Derecho served as the senior vice president of global services and support at Harmonic Inc., where he helped establish Harmonic as a premier provider of digital media infrastructure solutions. Prior to Harmonic, Derecho held various executive leadership positions with telecommunications equipment providers. Broadcom describes its Tomahawk 3 as a quantum leap in switch power and cost efficiency for next-gen hyperscale data centres. There are four arguments for this: (1) Tomahawk3 offers scalable forwarding for container networking based on rich tunneling support and support for segment routing (2) Scale-Out, Configurable Load Balancing & Multipathing, which provide traffic load adaptive capabilities in the switch (3) Broadview Gen3 network instrumentation based on in-band telemetry with per-packet timestamping and mirroring (4) 40% reduced Watt/Gbps thanks to the chip’s 16nm geometry. Broadcom’s BroadView software generates network analytics directly from the switching silicon, providing a way for network telemetry to collected. Finally, its worth considering the wide scope of partners and customers in the Broadcom switching ecosystem. Till this point, pretty much all the major switch OEMs/ODMs are aboard. 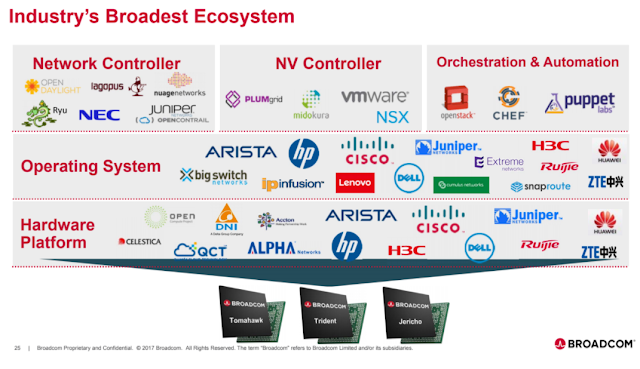 The big cloud vendors are building their own switches in-house but with Broadcom silicon. If there has been competitive pressure for this type of switch, mostly it would be from manufacturers opting to build switching ASICs in-house rather than rely on Broadcom solution. But there are a few start-ups attempting to enter the market. In March 2017, Innovium, a start-up based in San Jose, California and backed by $90 million in venture funding, announced plans for a new line of TERALYNX scalable Ethernet silicon for data centers switches with aggregate capacity options at 12.8Tbps, 9.6Tbps, 6.4Tbps and 3.2Tbps performance points. Though the chips have yet to begin shipping to our knowledge at least, in an updated blog posting this week, Innovium revealed that initial its initial systems will be available in early part of 2018 and that the company expects its customer and partners to disclose further details at that time. Innovium says it has active engagements with leading customers across all categories: Cloud, OEMs & ODMs. Innovium’s TERALYNX silicon promises support for 10/25/40/50/100/200/400GbE Ethernet standards. It will deliver 128 ports of 100GbE, 64 ports of 200GbE or 32 ports of 400GbE in a single device. Innovium was co-founded by Rajiv Khemani, formerly COO of Cavium; Puneet Agarwal, former Senior Director and Distinguished Engineer at Broadcom; and Mohammad Issa, previously VP Engineering at Broadcom. Its investors include Greylock Partners, Walden International, Capricorn Investment Group, S-Cubed Capital, Redline, and Qualcomm Ventures. Barefoot Networks, a start-up based in Palo Alto, California and backed by over $130 million in venture funding including an investment from Google, is already shipping a 6.5 Tbps version of its “Tofino” user programmable switching silicon. The silicon is designed for user programmability via the open-source P4 programming language. Barefoot has previously stated that its technology is being adopted by large enterprises and telecommunications providers to increase network performance and efficiency through leveraging programmable forwarding plane technology. One publicly disclosed example is AT&T, which has tested Barefoot’s Tofino and In-band Network Telemetry (INT) to gain deep insight into the network down to packet-level. Barefoot stated that it has recently worked with AT&T and SnapRoute to deliver what it believes is the first real-time path and latency visualisation. Earlier this month, Barefoot introduced “Deep Insight” software, which can run on commodity servers and in a network powered by switches based on the "Tofino" programmable switch chip to interpret, analyze and pinpoint packet telemetry. Using stateful baselining of a network's performance, the company says its software automatically filters out irrelevant data, detecting only anomalies at any time scale and with nanosecond resolution. The Deep Insight software can track the sequence of switches the packet visited along its path, the set of rules it matched upon at every switch along the way, the time it spent buffered in every switch, to the nanosecond, and the packets, flows and application that the packet shared each queue with. Barefoot Networks was co-founded by Nick McKeown, a Stanford professor and co-founder of Nicira (acquired by VMware), Martin Izzard, Pat Bosshart, and Dan Lenoski VP Engineering. In February 2017, Barefoot named Craig Barratt as President and Chief Executive Officer. Barratt joined Barefoot from Alphabet and Google, where he was Senior Vice President at Google and Chief Executive Officer of Alphabet’s Access business, which includes the Google Fiber broadband internet service. Prior to Google, he served as President of Qualcomm Atheros. TELoIP, which offers SD-WAN solutions through a network of channel partners, named Roger Davis as its new CEO. Davis previously was a senior executive with AT&T, serving as Vice President and Controller of the Corporation; Vice President & CFO of the Networks Services Group, the company's largest operating division; and Vice President & CFO of the International Group. 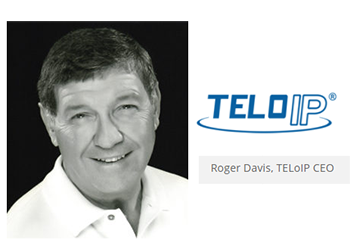 TELoIP, which is known for its Virtual Intelligent Network Overlay (VINO) technology and portfolio of managed service provider partners, was founded in 2002 and is based in Mississauga, Ontario, Canada. The GSMA opened a new North American regional office in Atlanta, Georgia. The new facility can accommodate nearly 90 GSMA employees. The GSMA has invested significantly in its North American operations in the last year, with the addition of 25 new roles across a number of functional areas. Most notably, in September 2017, the GSMA launched “Mobile World Congress Americas, in partnership with CTIA”, the first mobile industry event addressing the entire Americas region. The event attracted more than 21,000 visitors from 110 countries and territories. 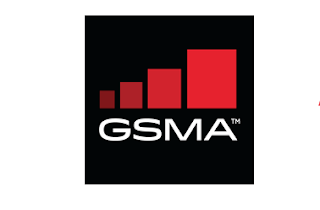 With global headquarters in London, the GSMA represents nearly 800 mobile operators worldwide, as well as more than 300 other companies including handset and device makers, software companies, equipment providers, internet companies and organizations in adjacent industry sectors.